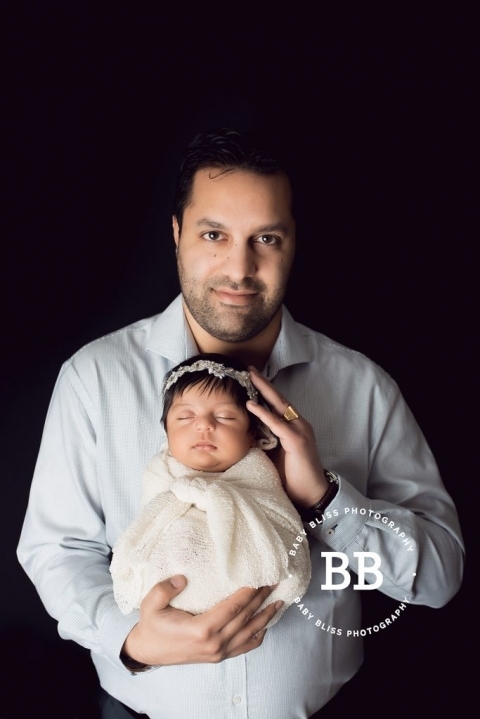 As a Kelowna Photographer who specializes in Maternity Portraits, Family Portraits and Newborn Portraits, I meet a lot of beautiful babies and their families. 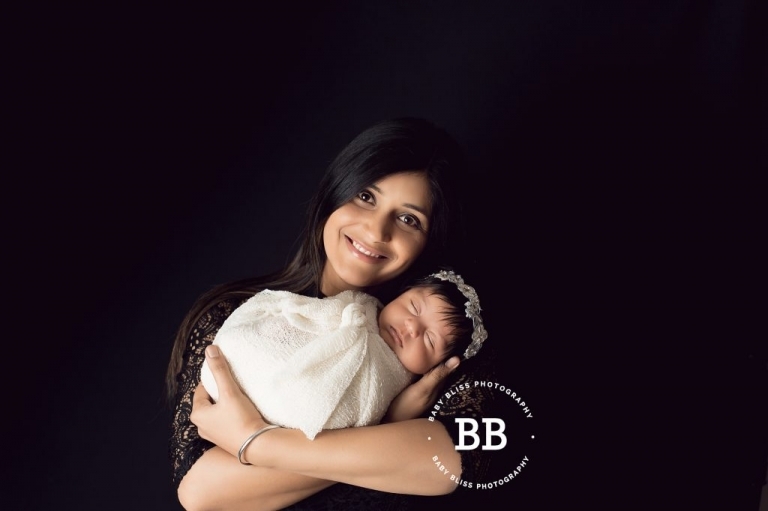 This little girl, holds the record for being the oldest newborn I have photographed in the newborn portrait style. At just over 5 weeks of age, I was pretty confident I could get some sleepy swaddled portraits but as for getting her fully asleep and posed on my beanbag, that would be up to little Ryleen and I to negotiate. Thankfully mom, dad and grandma weren’t on a tight timeline and allowed me to take my time with her. After a few different attempts, lots of feedings, a nice warm studio and a diaper change, we finally convinced Ryleen that she could go to sleep. I mean after all, we were having a lot of fun being wide awake. There was lots to see and lots of lovely people to interact with! What was so fun about this session, was at her age, she was truly interacting with me and connecting with my camera. That doesn’t happen with my two weeks olds. I feel like I got to see a little bit of Ryleen’s personality starting to shine through. I absolutely love that mom brought a beautifully hand woven Saree for our session. 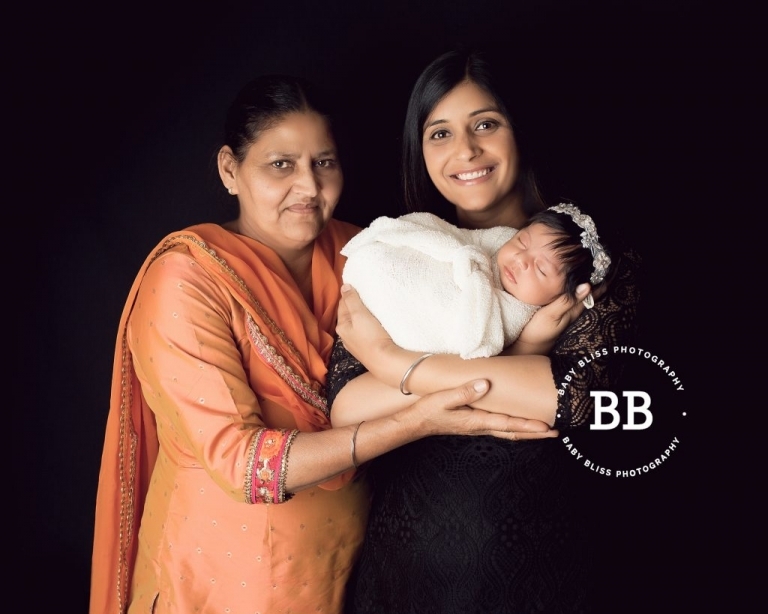 The Saree was hand woven by Ryleen’s great grandmother and I was honoured to incorporate it in her portraits. What a beautiful legacy to be swaddled in!!! It was absolutely beautiful to see. In todays modern society I can’t imagine anyone having the patience or talent to create such a beautiful masterpiece. Ryleen you are very loved and I can’t wait to see you again as you grow in personality and beauty! 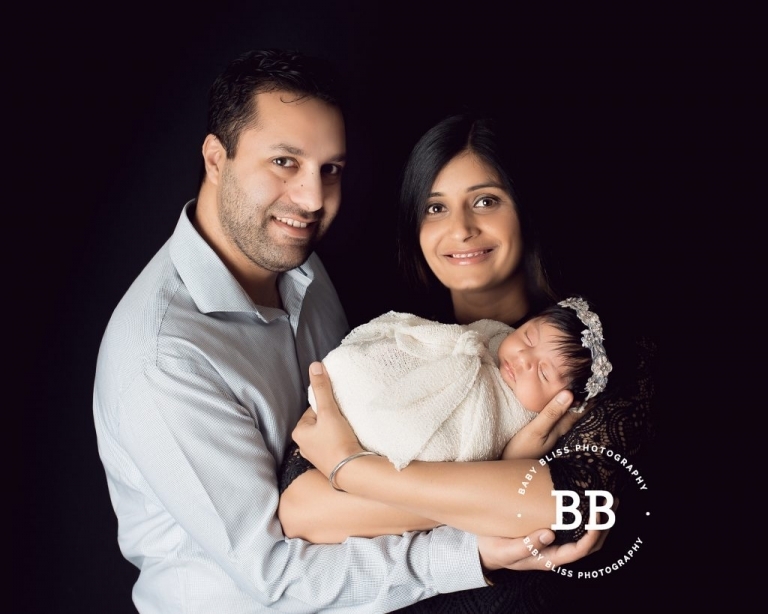 Congratulations to this beautiful new family of three!